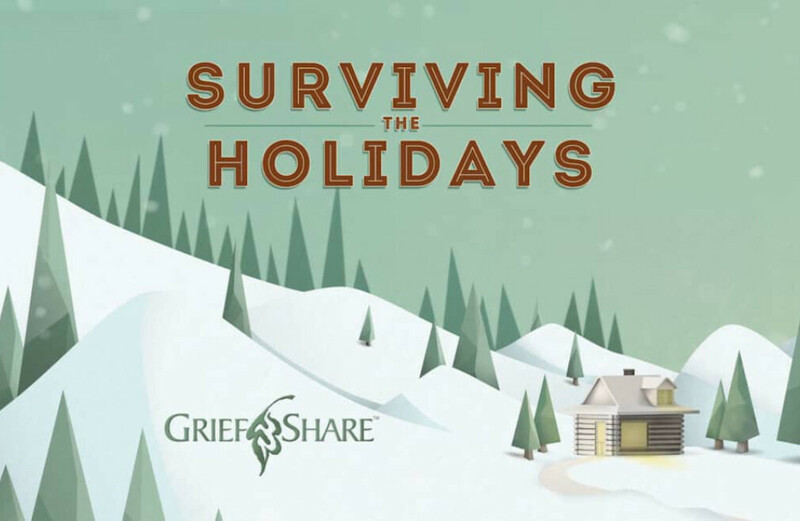 “GriefShare: Surviving the Holidays” is a helpful and encouraging seminar for people facing the holidays after a loved one’s death. The seminar will be held on Tuesday, November 13, from 6:00 to 8:30 pm in room D-303. There is no charge for the seminar. The seminar features practical suggestions and assurance through video interviews with counselors, grief experts and others who have experienced the holidays after their loved one’s death. Small group discussions will follow the video. Those who attend will receive a book with over 30 daily readings providing additional insights and ideas on holiday survival. You are welcome to attend regardless of when you experienced the loss of your loved one. A light “finger food snack supper” will be served from 6:00-6:30. Registration is required to attend. For more information or to register, call Irene Stokes at 770-458-4311.